Khar Gymkhana, Mumbai saw sporting enthusiasts emerge from corporate executives, professionals, budding Entrepreneurs, and achievers. 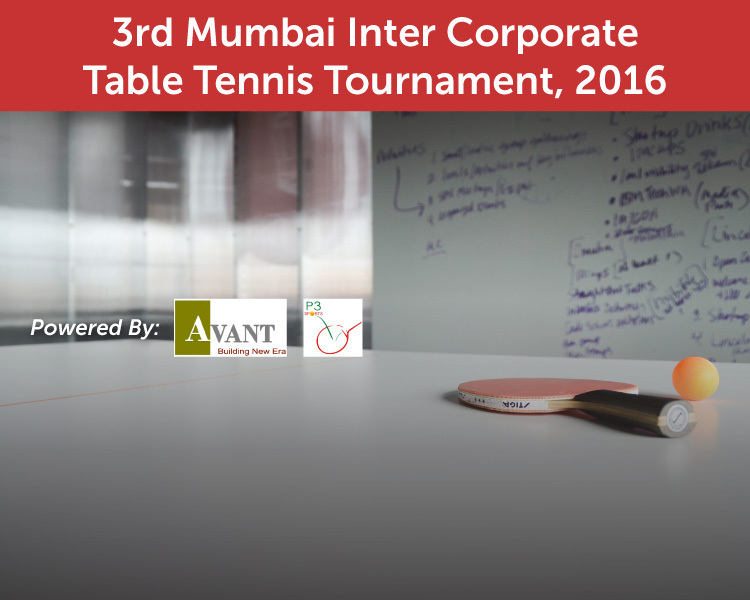 Post the immense love and response received for Topspin With MoonMoon, NODD collaborated with P3 sports for Inter-Corporate TT Tournament 3.0. This clearly portrayed that networking need not be confined to formal suits and walls, but can be enhanced over a game of ping pong as well. It was a perfect time for exhausted workaholics to unwind and break the ice with contemporaries. Nodd again collated a healthy and enjoyable platform to compete against the Best Corporate Players in town. The party was a concoction of participants from prominent organizations like L&T, HDFC Bank, Fullerton, IndoStar capital, TajSats among a host of others.